We created the Results Report to save you time drilling down into the Course, Group, and Participant Reports. 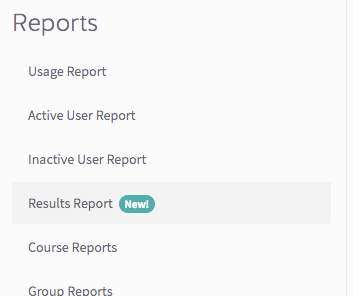 These reports are great for getting a snapshot on Courses, Groups, or Participants, but the Results Report gives you the ability to easily view and export all of the data associated with your Participants' progress in any given date range. To find the Results Report, head on over to the Analyse section, and click "Results Report". We realise that the primary concern for a Facilitator is to make sure Participants complete Courses on time and are competent. In light of this, we've created a number of filtering options to help you achieve this. 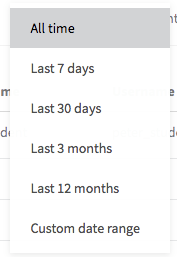 Choose the 'Custom date range' option if you'd like to get a more specific date range. 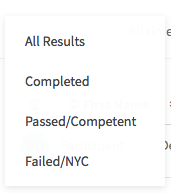 Use the status filter to filter results depending on whether your Participants have completed, passed, or are not yet competent on a course within a particular date range. Once you've filtered your data you'll get a list of all the Courses, Participants, Groups, and modules associated with progress data within the date range selected. Importantly, you can see a breakdown of scores, dates, times and competency. After you're happy that you've filtered the the right dataset, you can now export that data into a CSV format. Click the 'Export as CSV' button and the data will be exported and downloaded to a file on your desktop. Once you've downloaded your export you can open it in Microsoft excel, Apple numbers, google sheets, or any other program that supports csv. Here's the CSV opened in Apple Numbers.